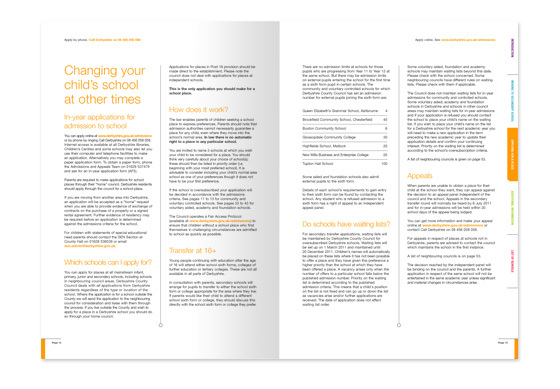 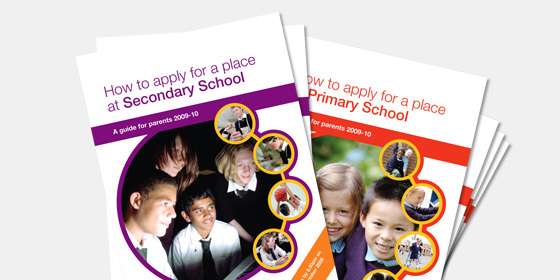 School admissions guides: The design of 60-70 page admissions guides (one for primary and one for secondary) for parents, giving essential information about applying for their child's school place. 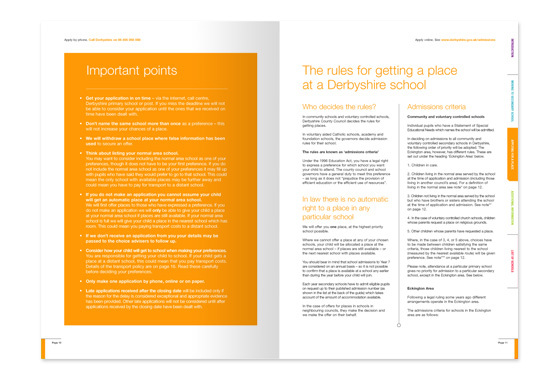 The key to the design is showing the information in a simple easy to read way and having a colour coded system of sections so that relevant information can be located easily. 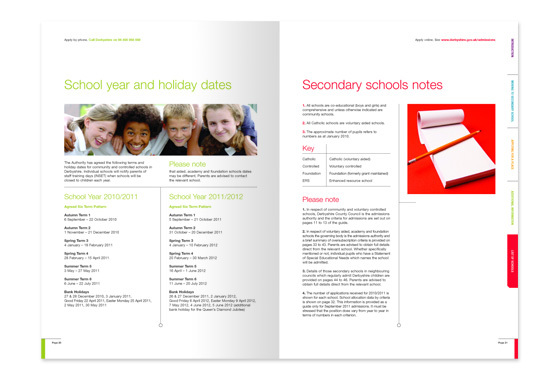 We have been fortunate enough to design these for the previous five years.